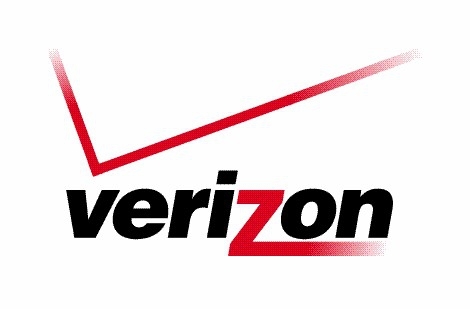 "Microsoft's ill-fated Kin One and Kin Two are returning to Verizon, a leaked fall roadmap revealed tonight. Despite having sold just 8,810 phones, the phone designer is bringing the two devices back as the OneM and TwoM. PPCGeeks' copy of the roadmap would have both sold as basic feature phones and consequently dodging the $30 smartphone plan requirement widely credited for killing the popularity of the devices in their brief six-week initial run." Today I passed by an At&T store and, out of curiosity, I walked in to check the Samsung Focus. The On/Off switch is on the side and not on the top and easy to use. So, and again out of curiosity, I asked to the rep about their plans; right now I use T-Mobile, I have 1500 minutes, unlimited SMS and unlimited data for $90/month. At&T closest plan costs $105 for 900 minutes, unlimited SMS and....... 2GB of data!!! I asked the guy if they had any plan with more data available and the answer was "no, we do not because our study shows that 90% of the users do not need more" etc. etc. Now besides personal opinions one thing is true without doubt: WP7 phones use a lot of data and I wonder what kind of bill will receive next month all these people with 2GB. So, and again out of curiosity, I asked to the rep about their plans; right now I use T-Mobile, I have 1500 minutes, unlimited SMS and unlimited data for $90/month. At&T closest plan costs $105 for 900 minutes, unlimited SMS and....... 2GB of data!!! I asked the guy if they had any plan with more data available and the answer was "no, we do not because our study shows that 90% of the users do not need more" etc. etc. How much data do you use per month? I used to have a 6 GB data plan, but had to switch to a 1 GB data plan when I moved to a family plan for myself and my wife. I was of course paranoid about using too much data, but it turns out my particular needs for data are quite low - in a given month I typically use less than 300 MB. I don't do any heavy media streaming though...or tether very often. There's definitely some truth to that, at least in the beginning: I burned through about 50 MB on the first day just doing the initial sync, a little less on the second day, etc. Well, honestly..... I do not know. having unlimited data I never checked. I have Exchange that pushes emails as they arrive... and I get around 50/80 of them each day; I have stocks update every 10 minutes, I use sharepoint and "my phone". Again using WM 6.5 I sync with the desktop so I guess my tarffic is not so high. What I use a lot, average one hour per day, but I do not know how it affects data is Google voice for international phone calls. Well, honestly..... I do not know. having unlimited data I never checked. I have Exchange that pushes emails as they arrive... and I get around 50/80 of them each day; I have stocks update every 10 minutes, I use sharepoint and "my phone". I'd encourage you to check it - it may open your eyes a little about how much data you really need. Well, this is a fun story. As a one-time Kin Two user, I am pleased to see the Kin revived because it was clever little bit of tech. At a far more logical price point, it may have a chance. On the other hand, if they start selling more of them, the future novelty value of mine will diminish. For what it is worth, I kept using my Kin long after it was orphaned. I still like the social networking nature of the device and the Kin Studio. I finally abandoned the phone in September because the battery wouldn't hold a charge for more than a few hours. I don't know what went wrong, but after a full night on the charger, the phone would be totally drained in 5 or 6 hours. And then there was the downright awful Verizon service in my area. I hadn't used a Verizon phone in 5 years and in that time I discovered they had not improved service near my home at all. Happily, my old AT&T Touch Diamond 2 took me back after I packed the Kin carefully back into its factory packaging, thinking I'd have a rare tech specimen someday. Does anybody knows where I could buy a Samsung Focus "SIM Free"? I have WM 6.5 and an unlimited data plan with T-Mo. Got SPB Wireless Monitor and was amazed how little data I actually use. Now, the question is... Can I get T-Mo to lower my unlimited plan to the $10/200MB. I think my usage was around 150MBs and thought I was ready to go over the 5GB plan. Of course I don't stream video, so no biggie.